KoolMoves is a full-featured Html5, Flash, animated GIF and AVI authoring tool that combining ease-of-use with a wealth of powerful animation effects. It's used by both professionals and novices to create professional, rich interactive content for websites (text and image effects, slide shows, games, animated characters, and entire websites). Adobe Flash has developed into the standard for animation on the web, KoolMoves has emerged as an advanced but low cost alternative to Flash. It features libraries of text effects, Flash templates, and clip art. For advanced users, it has Flash AS1/AS3 action scripting and components. In addition, Koolmoves exports as SWF, HTML5, AVI, MP4, SVG, animated GIF, and mobile apps using PhoneGap and Adobe AIR SDK. 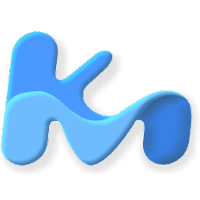 Disclaimer: Direct downloads for the lastest version of KoolMoves 9.7.9 are provided by the official software's author, we can't guarantee safety, availability or download speed. Moreover, we don't and we won't provide any pirated/illegal versions or tools. We recommend you to avoid it as these methods can harm your device. If you like the software, buy it to support the developers. (We provide software discounts for many worldwide brands).